As her nephew started turning blue, Pamela Rauseo panicked. She didn't want anything bad to happen to 5-month-old Sebastian de la Cruz, who was born premature and with respiratory issues. So Rauseo stopped her SUV along Miami's Dolphin Expressway on Thursday and screamed for help. She started giving the baby CPR. Rauseo hadn't performed CPR in years. "I don't know how I remembered what to do. … I just knew I couldn't let him die," she told ABC News. With traffic at a standstill, fellow drivers began to help. Lucila Godoy left her own son in the car to assist in CPR and comfort Rauseo. 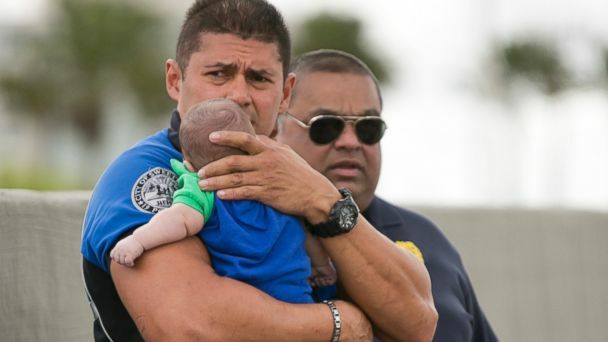 Miami Herald photographer Al Diaz ran through lanes of traffic to alert police officers before capturing the tense scene. Officer Amauris Bastidas arrived, helping as Rauseo twice got the baby breathing again. Rescue crews took Sebastian to the hospital. He was photographed later that day in his mother Paola's arms, smiling, the color returned to his face. Rauseo, 37, works in interior design. She runs Round321, a company dedicated to designing innovative and unique pieces for parents and children. One of her room designs is called "Sebastian's Circus" and features stylized elephants and a play tent. 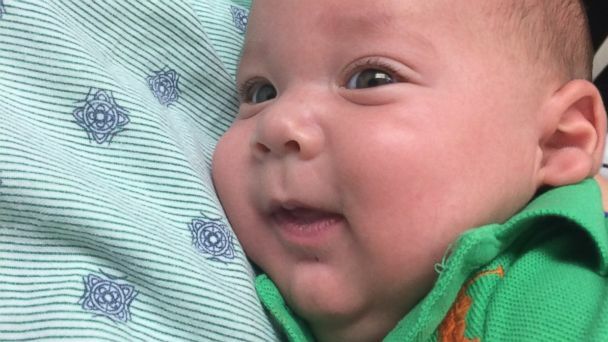 Doctors at Jackson Memorial Hospital said today that Sebastian is listed in critical but stable condition. It's still too early to know when Sebastian would be discharged but doctors said they expect a full recovery. More tests are needed before they can determine just what caused the respiratory episode, they said. Rauseo who also attended today's press briefing, said she undertook CPR training about seven years ago but was still "very nervous" about treating little Sebastian on that freeway. Dr. Juan Solano is treating Sebastian and said Rauseo acted properly. "She did exactly what everybody is supposed to do" in that situation, he said.